New Delhi, May 4: The world knows him as Bollywood's "Shahenshah", but he prefers to be known as the son of late eminent poet Harivansh Rai Bachchan. Megastar Amitabh Bachchan says he has been in public life from the day he was born, but has no legacy of his own to leave behind. The actor, who has successfully transitioned from Bollywood's "Angry young man" to its "Shahenshah" to its most globally known ambassador during his over four decade-old career, says his father's "public presence is far greater than" his. "It is coming on to 50 years in public life... That is as far as I am personally concerned... But I have been in public life from the day I was born. I was always the son of Dr Harivansh Rai Bachchan, eminent poet, litterateur, having public presence far greater than mine," Amitabh told IANS in an email interview from Mumbai. "I have no legacy... My father's legacy is what I am interested in, and I shall try always to further it." Amitabh, who is looking forward to the release of his next film "102 Not Out", has time and again penned his feelings and thoughts about his bond with his father in his elaborate blogs. Earlier this year, he had also expressed displeasure over the stipulation in the copyright law which allows exclusive rights to heirs of original literary work for 60 years after the author's death. The 75-year-old, who also enjoys reciting his father's works, especially "Madhushala" at public events, hopes he has passed on his father's wisdom to his son and actor Abhishek. "Memories with my father and time spent with him are personal... But, yes lessons learnt from him would certainly be passed on to Abhishek," added Big B. Asked how these were being passed on to the grandchildren, Amitabh said: "These are family oriented. Each family has their own conduct and behaviour, and they are executed in a manner where the next generation continues the legacy of the past. One prays and hopes that this temperament continues for posterity too." Amitabh started his journey in showbiz as one of the seven protagonists in "Saat Hindustani", and then went on to feature in the Rajesh Khanna-starrer "Anand". But once he got noticed in 1973 with "Zanjeer". there was no looking back. Some remember him as the towering lead in films like "Deewar", "Zanjeer", "Don" and "Sholay"; some appreciate his work in "Black", "Paa" and "Piku", and some just love to watch him bring characters of myriad shades alive on the silver screen and the small screen. From touching the pinnacle of stardom to facing failure to his days of bankruptcy to bouncing back in the game and seeing a meteoric rise -- Big B has seen it all. "I never dreamt of being where I am today, not that I am in some special space now, but dreams of the young are never constant, at least mine were never. We keep imagining according to prevailing circumstances. And circumstances keep changing rapidly," he said. The cine icon feels it is very important to taste failure to value success. "Criticism," he says, "is healthy. If not, we would all be living in a Utopian world, and we know that, that is not possible. Abuse, negativity, criticism is a most important element in our growth. We must know what the rest of the world is thinking of us and our work, and learn from those outputs. It's like failure; unless you fail, you will never know what success is." 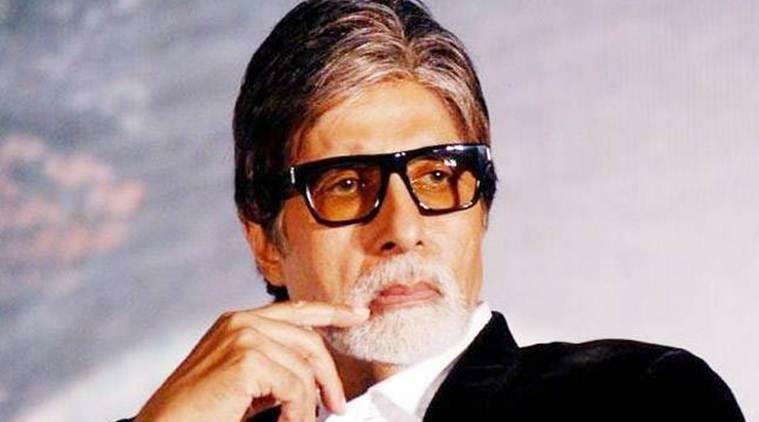 In Umesh Shukla's "102 Not Out", Big B is seen as centenarian father to his 75-year-old son -- essayed by Rishi Kapoor -- who wants to break the world record of being the oldest man alive. The record is held by an 118-year-old Chinese man. The old man feels his son's morose attitude would not help him achieve the target and takes step to move his son to an old age home. Produced by Sony Pictures Entertainment Films India, Treetop Entertainment and Shukla's Benchmark Pictures, the film opened on Friday. "Our experience comes from the design of the story and the script. We tried to do what the script demands, and we hope it has been done to audience's satisfaction," said the actor, who will also be seen in "Thugs of Hindostan". Clearly, there is no slowing down for Big B as he listed the projects in the pipeline.